Got an aspiring meteorologist in your family? WUSA Channel 9 Winter Weather Workshop this Saturday with meteorologists Topper Shutt and Melissa Nord. 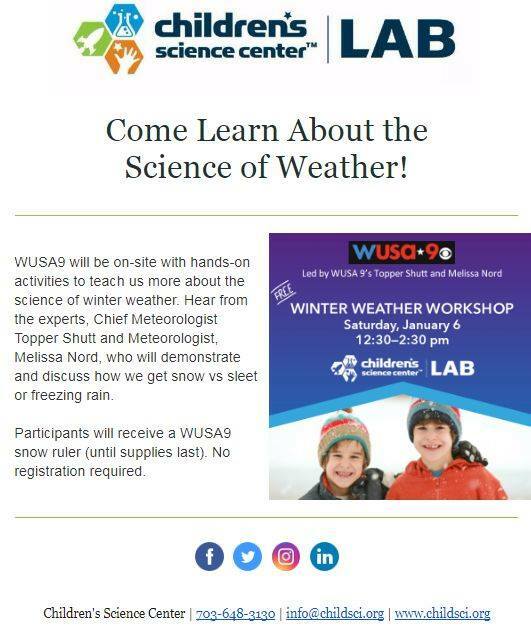 https://childsci.org/event/wusa9-winter-weather-workshop/ — at Children's Science Center.